Sarah Johnson has just this month joined the KCL Geography Department as a PhD student supervised by Dr Emma Tebbs. 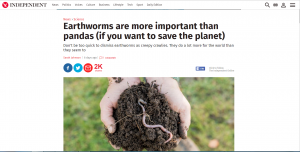 This week an article she wrote for The Conversation was republished by The Independent on why “Earthworms are more important than pandas (if you want to save the planet)”. See it here. I spoke to her about how it all came about. Q: What prompted you to write for The Conversation? A: I’m a student of the London NERC DTP, and the blog article was originally written as part of the DTP training programme. 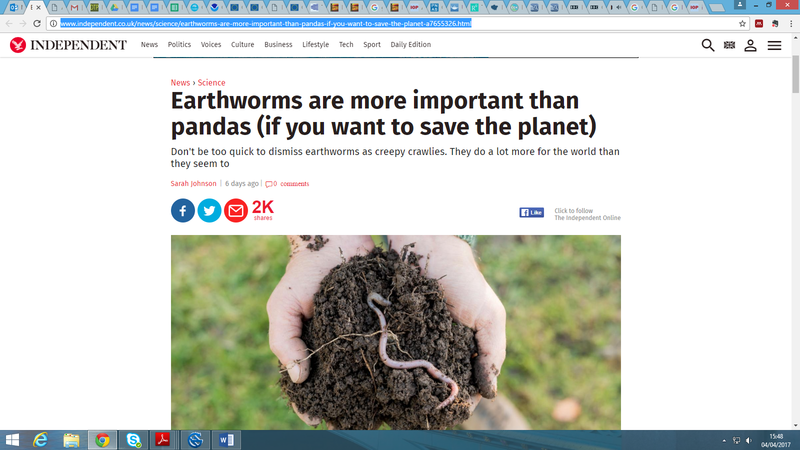 The article was then selected by The Conversation for publication and then picked up by The Independent. The independent have a syndication deal with The Conversation and promote some of their articles.